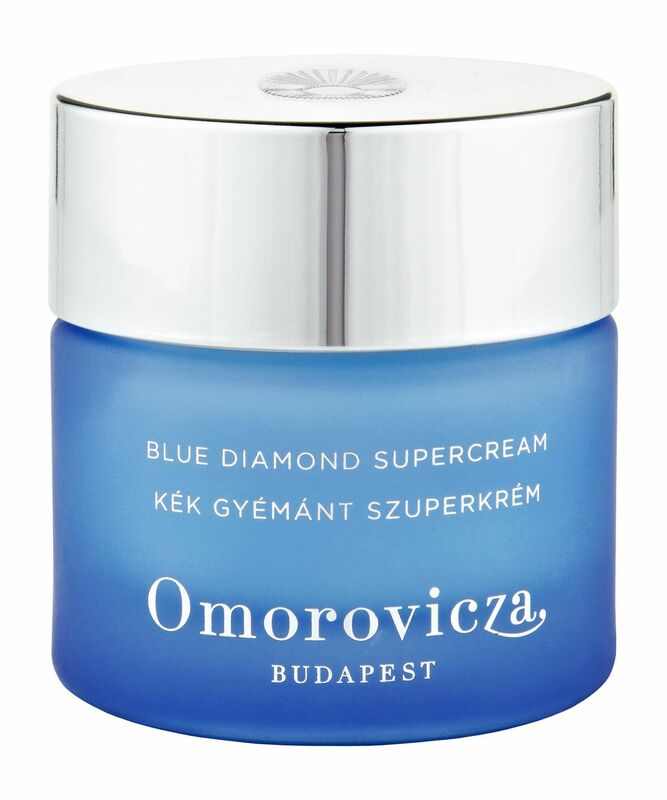 A remarkable skin plumping and re-energising daily moisturiser, Blue Diamond Super-Cream stars diamond peptides – small chains of 3 – 5 amino acids, grafted to multifaceted diamonds – which are transported directly to skin cells where they trigger cellular repair processes; ‘tricking’ cells into believing precious collagen has been compromised, so that they set about creating more whilst counteracting signs of stress. A combination of copper, essential amino acids and an anti-glycation phosphate then further encourages elastin and collagen synthesis, while Omorovicza’s patented delivery system ensures that these powerful actives are utilised by cells in their intended combination, for renewed skin strength, firmness and resilience. 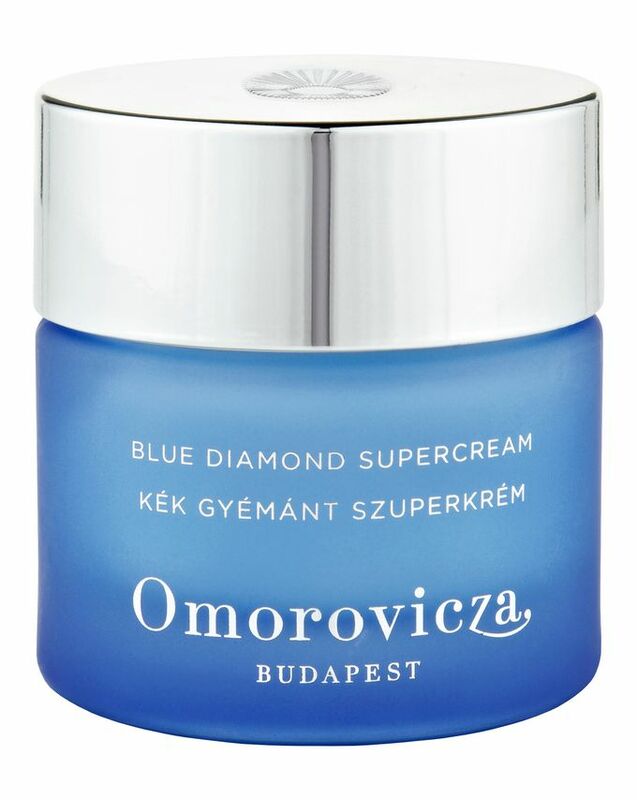 Harnessing the unique ability of Omorovicza’s Nobel Prize-winning ‘Hydro Mineral Transference’ technology, the Blue Diamond collection helps restore cell energy and in turn, supercharge the skin’s ability to renew, repair and ‘age-defy’ itself. This deeply replenishing Super-Cream prolongs the life of healthy skin cells and stimulates DNA repair, while increasing elastin and collagen synthesis to dramatically enhance skin’s overall strength, ‘stretch’ and resilience. Buttery and sensuous to apply, this peps up dull, lacklustre complexions by fast-tracking the flow of oxygen between cells; Arabinogalactans (a Nasturtium-derived polysaccharide), accelerates oxygenation of the skin to optimise cellular efficacy, while re-energising fibroblasts to leave skin looking brighter, toned and smooth. 3 types of hyaluronic acid then attract and retain precious moisture – plumping cells to enhance skin firmness and diminish visibility of wrinkles and fine lines. I tried samples of this cream, so I wouldn't be able to comment on longer-term effect. I am very picky about products, and my skin somehow always shows straight away when she is not 100% happy, so I could tell quite quickly if something is not good. But this product worked really well after trying on my skin. It is expensive, but the brand tries to pack as many goodies as it can! After trying the sample, I am confident to say this is one product that I would like to buy the full size.